Tetra in concert; an evening of French and English music. Presenting music by Dowland, Lawes, Boësset and Dufay. Refreshments will be available. 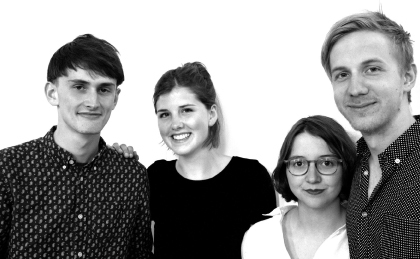 Tetra are Phoebe Pimlott, Alice Trocellier, Tom Norrington and Thomas Jacob, formed in Bristol early 2015. Comprised of music students at the University of Bristol, the group was born out of a love of early music, particularly of the English strain. Out of circumstance and necessity, all members had performed with each other for various concerts and recitals within the University. The group was established to bring together these blossoming musical relationships. Together, the group has shared their passion for this music with several recitals in Bristol in such venues as the Victoria Rooms, St. Mary Redcliffe Cathedral and the Arnolfini Art Gallery and this summer in France. Find out more about Tetra here. St Martin’s Church is a beautiful and distinctive medieval church in the heart of Colchester’s Dutch Quarter. It is now decommissioned and looked after by the Historic Churches Trust.